PALM SPRINGS, Calif. – The California Winter League is proud to announce their ninth season in operation, providing an opportunity for players with big league dreams to earn a contract and pave their own path to the top. Since 2010, over 600 contracts have been offered to those players who come out to Southern California to participate. The CWL and our staff take pride in the success stories that have been created for those players who never give up, and would like to recognize the top 10 former CWLers of the 2017 season. Josh McAdams attended the CWL last January and was awarded for his efforts, earning a contract with the Lake Erie Crushers of the Frontier League. McAdams is a 23-year old from Calhoun, Georgia and was drafted out of high school, in the 7th round of the 2012 MLB Draft by the Cleveland Indians. He came to the California Winter League in search of a contract to continue his career. With the Alberta Grizzly, McAdams hit .396 in 18 games, to go along with 5 homers and 21 runs batted in. Josh also had 8 extra base hits in 48 at-bats. He was offered a contract with the Lake Erie Crushers of the Frontier League for 2017. 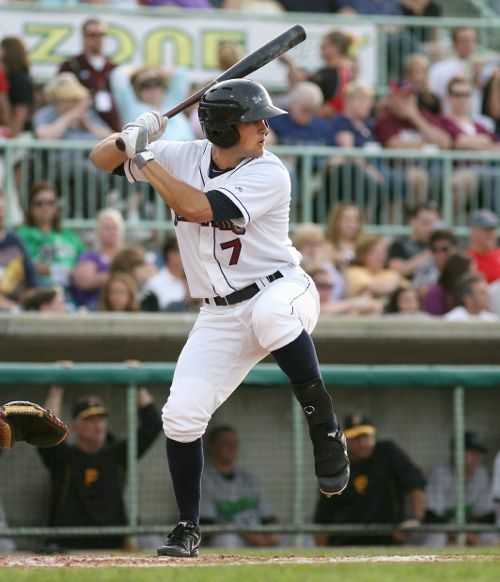 The 6’4″, 215-pound infielder/outfielder reported to Lake Erie where he hit.238 with 6 homers and 25 runs batted in. He also swiped 8 bags in the 57 games he played in 2017. The CWL congratulates Josh on all of his hard work and wishes him the best of luck on his endeavors!